Sinar Harian today, April 25, 2013, published an interview with DAP Advisor, Lim Kit Siang who will be contesting in Gelang Patah, Johor for GE13. Kit Siang was realistic in stating his chance in Gelang Patah, matter of keeping up with promises as well as how PR would be a better government than BN. However, Kit Siang's statement saying that PR has better political awareness than BN when it comes to combating corruption, somehow sounded like a joke. Perhaps Kit Siang has forgotten that Teoh Beng Hock did not came to MACC for a class trip, he was there as a witness to a corruption case involving DAP leader. 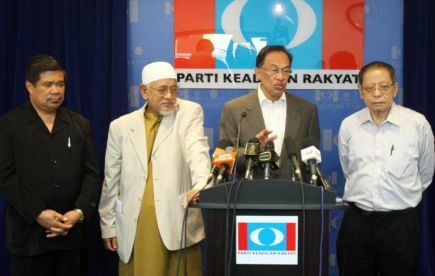 Kit Siang also might have forgotten that all of those who has close relationship with PR leader, Anwar Ibrahim, suddenly became rich when he was appointed as Minister. Kit Siang also may have missed how acres of land in Kelantan fell to the hands of DAP leader from Perak. Perhaps all of these are not corruption for Kit Siang, instead, they are rights of PR leaders which can never be questioned by anyone. "This matter has gained mutual agreement and understanding between top leadership of DAP, PKR and PAS where it does not have to be informed to the public. Our main problem is the matter of can we win with comfy majority for GE13. Perhaps 45 seats for PKR, 40 seats for 40 and 40 seats for DAP. It is well balanced, and by then, we will see who's the Prime Minister. Kit Siang's statement somehow sounded like,'the question of who becomes the next Prime Minister is our business, not rakyat'. 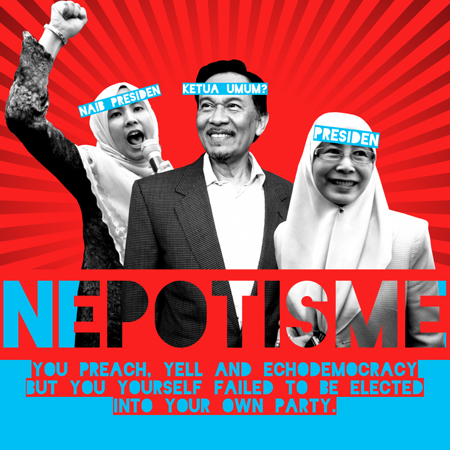 Thing is, rakyat need to know who is the next Prime Minster before they vote as assurance that the fate of both them and the country is in the hands of the person who truly deserve the post. Some DAP supporters would definitely feel worried if Hadi Awang becomes Prime Minister and forces hudud to be implemented in this country. PAS supporters in the other hand are beginning to reject Anwar as Prime Minister on the excuse of his moral issues as well as pluralism. Meanwhile, Malaysians generally would not accept Kit Siang as Prime Minister due to his strong racism. Even if PR Prime Minister is not among those names mentioned, rakyat still want to know who the person is and which party does this person represent. This is because, all three parties, DAP, PAS and PKR promotes three different styles of ruling. Rakyat also need the certainty that if they give the win to PR, that there won't be any fight on ruling styles or even the fight for Prime Minister post, which might last for a very long time. Not just that, the question on whether PR could resolve the Prime Minister post issue in short period of time soon after they win the GE is very subjective. Even the 'short period of time' is another question. Rakyat need to know that their life would not be affected while the fight goes on. 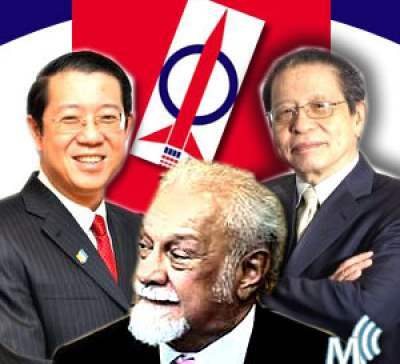 If Kit Siang do not see the question of 'who is the next Prime Minister' as something important, then Kit Siang do not even deserve to be a politician. Especially when he has the possibility of also becoming the next Prime Minister. Thus, how would PR convince rakyat that the future PM is not someone who does not understand the importance of Prime Minister itself?